5 STAR TREK Abandoned Projects | Warped Factor - Words in the Key of Geek. 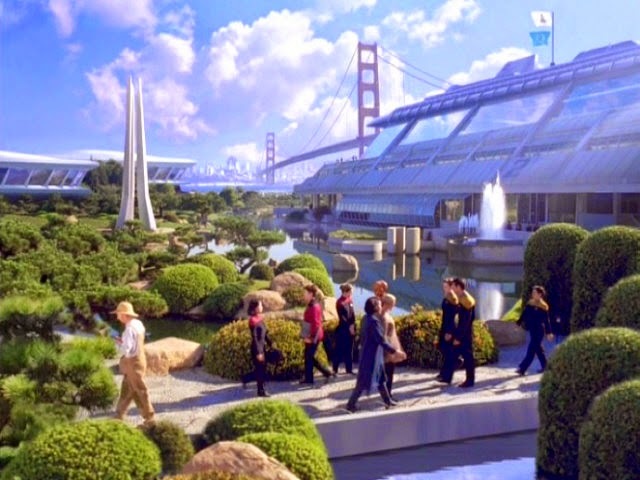 Nathan Browne looks at 5 proposed Star Trek projects that never saw the light of day. Over the years there have been many different Star Trek projects that were proposed but for one reason or another never produced, some getting further along the development stage than others. 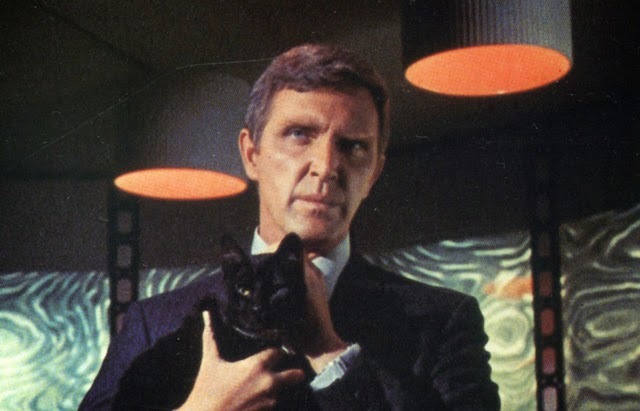 I've already looked at two of them, Planet of the Titans and Star Trek: Phase II, so I thought I'd round up five of the more interesting ones from different eras of the franchise. Throughout the 1990's there were rumours of a Captain Sulu led spin-off series, but it seems that was all they were - rumours. 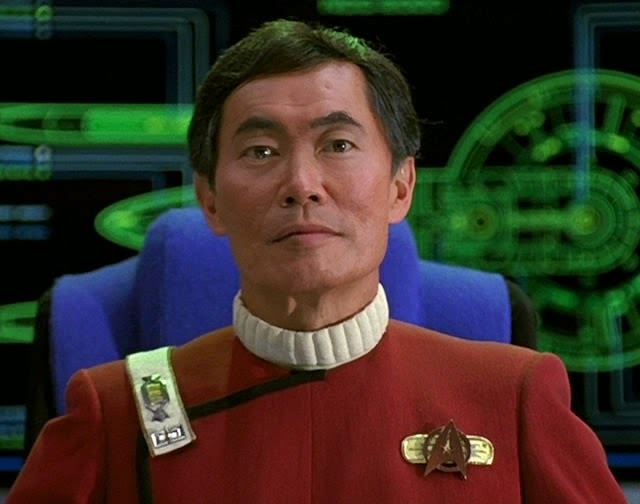 However the closest Sulu came to sitting in the Captain's chair again was for a proposed series of CGI animated movies bridging the gap between The Original Series and The Next Generation. Around 2003 work began on a project called Star Trek: The Lions of the Night, it would've seen Captain Sulu and the Enterprise-B holding back an invasion by the Kzinti (a race of aliens first introduced back in The Animated Series episode The Slaver Weapon). Concept art was produced, and a story was put together by writer Jimmy Diggs, but it seems that the decline in viewers for Star Trek: Enterprise meant that Paramount pulled the plug before this one got any further. Theorising that it would be much cheaper, and logistically simpler to create a prequel adventure for Kirk and Spock, instead of having to negotiate both salary and availability with William Shatner and Leonard Nimoy, producers Harve Bennett and Ralph Winters began work on a Star Fleet Academy movie to celebrate the franchise's 25th Anniversary. The script was approved, featuring an introduction scene with Dr McCoy (DeForest Kelley) addressing a class of graduating students at the Academy, the film would then flashback to the original crew's early days in training. Something JJ Abrams would show many years later. "I didn't like it. Who was going to cast the new Kirk and Spock? 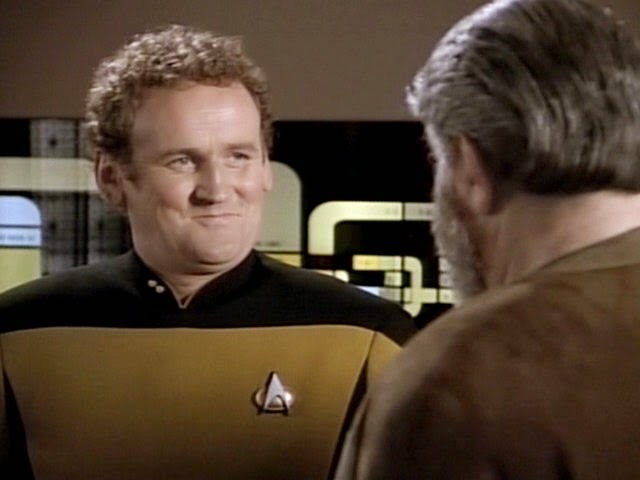 No one has ever cast a Trek character besides me that's worked. Braggadocio or whatever, that is the history of Trek. It wasn't good. Some of it was like Police Academy. You could hardly do this without the magic of a group of characters tailored for Star Trek, which this was not." Tell that to JJ Abrams! After Star Trek was cancelled in 1969, Paramount were keen to produce a new-spin off series for broadcast the following season starring Leonard Nimoy. The idea was to have Mr. Spock take a sabbatical from Star Fleet and be 'dropped' off on his home planet of Vulcan. From there the show would solely concentrate on his adventures with the other Vulcans, presumably being very logical. Paramount asked Gene Roddenberry to create a treatment and produce the show, but he turned it down and the project faded away. The earliest proposed Star Trek spin-off dates from 1968 and has its origins in the season 2 episode Assignment: Earth. Ratings for Star Trek itself were poor and it very nearly didn't get a third season order, so Gene Roddenberry was already planning his future post-Trek. He pulled out a story he'd written back in 1966 about Gary Seven, a mysterious character who had been sent by advanced beings to help Earth in the 1960s. At this time it didn't feature any of the Star Trek characters at all, but with a little bit of re-writing Roddenberry had a Star Trek script that was intended to act as a backdoor pilot for a new series starring the character of Gary Seven. A last minute third season order of Star Trek ended this idea idea, but the characters featured did go on to appear in a comic book series from IDW Publishing.